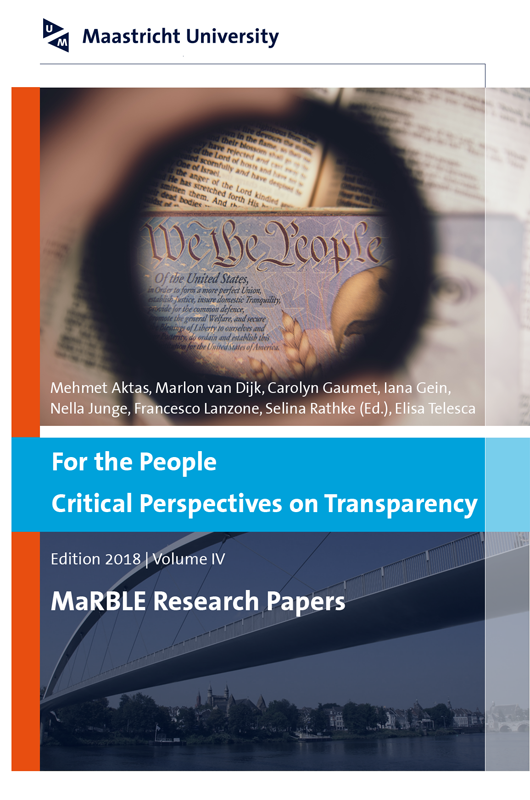 From January to June 2018, eight students from the Bachelor Programmes European Studies and European Law participated in the Marble course Transparency in Perspective at Maastricht University. The course was supervised by Dr. Nico Randeraad. The present volume, edited by Selina Rathke, includes shortened versions of the students’ original papers.